Many monsters in the Fallout 76 video game are based on real West Virginia lore. Image courtesy Bethesda Softworks. 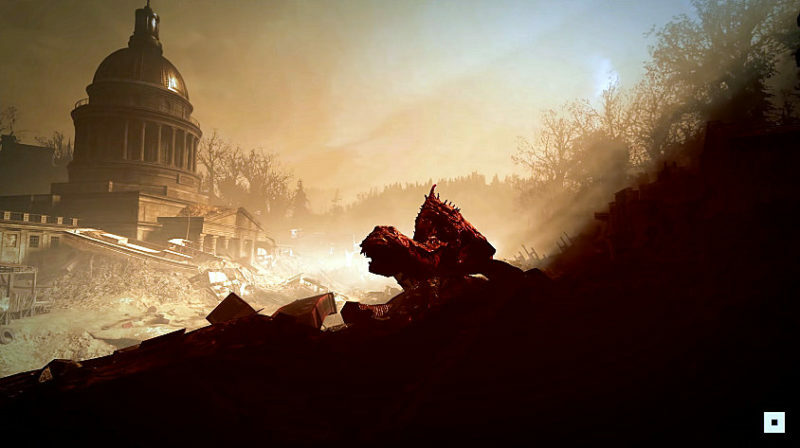 Many monsters featured in the Fallout 76 video game are based on real-world West Virginia legends, about which David Sibray, publisher of West Virginia Explorer, has had much to say. A folklorist and historian, Sibray has been featured on many interviews since news of the game’s release was announced in early 2018. What are the legends behind the monsters? How might the monsters behave in the game? Can players learn any of their behaviors from the lore featured at WVExplorer.com? David Sibray discusses the White Thing and its potential roll in Fallout 76 video game. David Sibray discusses the Braxton County Monster and its roll in Fallout 76 video game.